Phelps at 2008 Olympics Beijing. Phelps at 2008 Olympics Beijing. Wallpaper and background images in the Michael Phelps club tagged: michael phelps beijing 2008. 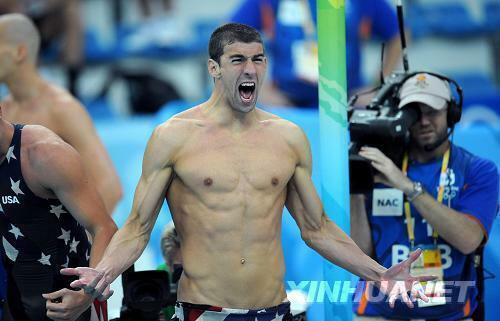 This Michael Phelps photo might contain hunk کے, hunk, چھ پیک abs, ab شگاف, فلیٹ پیٹ, and برزن کریک.